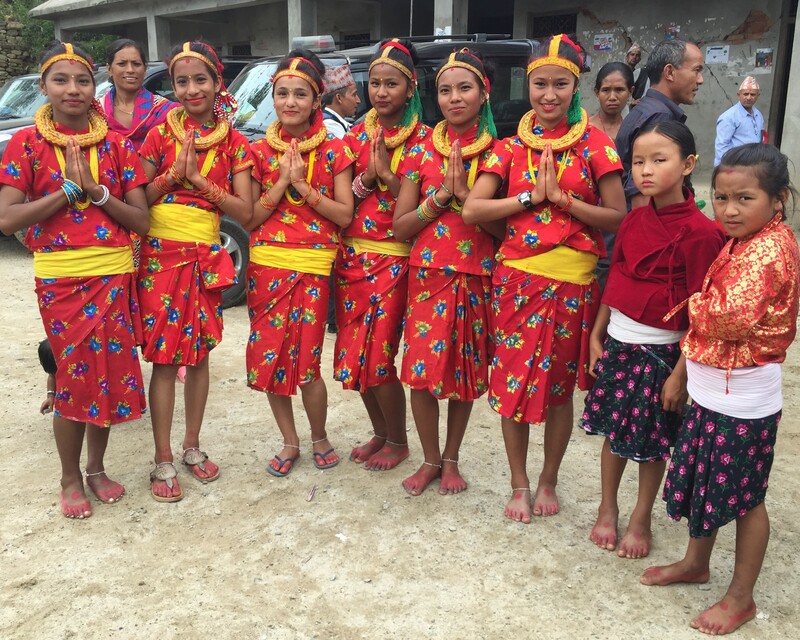 The EF Global Classroom Foundation has broken ground on a new elementary school in Nepal. From good intentions to actual school, we are proud to share the highlights of last 3 years- resulting in the rebuilt Jalapa Devi Higher Secondary School. After almost three years of hard work, the EF Team finally completed the rebuilding of Jalapa Devi Higher Secondary School. The milestone was celebrated with a grand opening ceremony on January 29th. 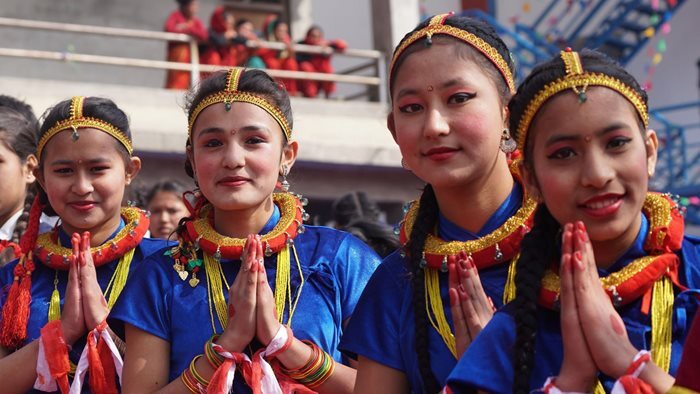 Celebrations included, the handing over of the keys to the local community, speeches by the Former Prime Minister of Nepal, Madhav Kumar Nepal and CEO of EF China, Jacob Toren; as well as traditional performances by local students. 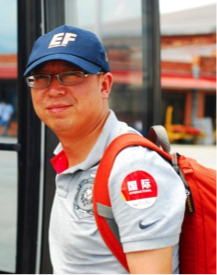 In the aftermath of the devastating earthquake that hit Nepal in April 2015, EF China dispatched a working group to the site. 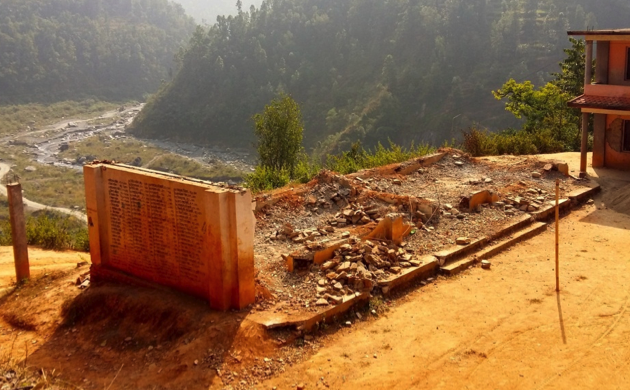 After careful and detailed inspection, EF chose to rebuild Sindhupalchowk's Jalapa Devi Higher Secondary School. 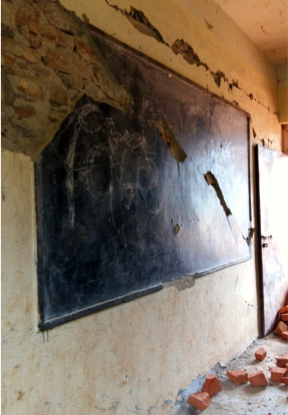 At the time, this was one of the most severely damaged schools in Nepal. In collaboration with Japanese partners, Yoshizawa, EF constructed the new school using Japanese aseismic technology. 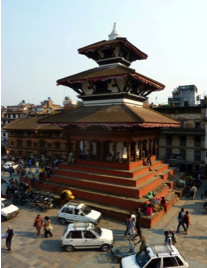 Built to withstand an earthquake with a magnitude of over 7.0, making it one of Nepal's safest structures. The school grounds consist of a main building, which is three-stories high and has a capacity of 780 students, as well as a two-story multi-purpose building with a capacity of 200 people. The campus also includes reading rooms, teacher offices, laboratories and other facilities. 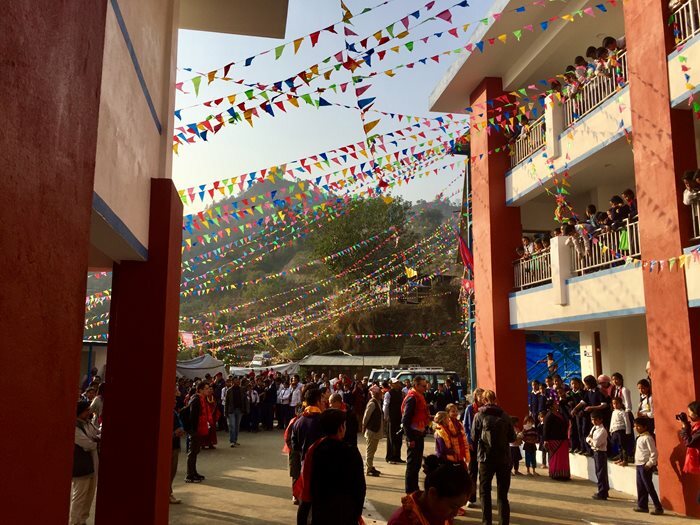 Students and teachers of Jalapa Devi HSS all attended the opening ceremony and partook in the colorful celebrations and are pleased to call this their new school. 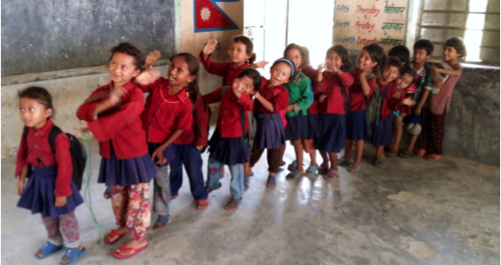 Almost two and a half years ago the EF Nepal team, set out to rebuild a damaged school in one of the most affected areas following the 2015 earthquake in Nepal. 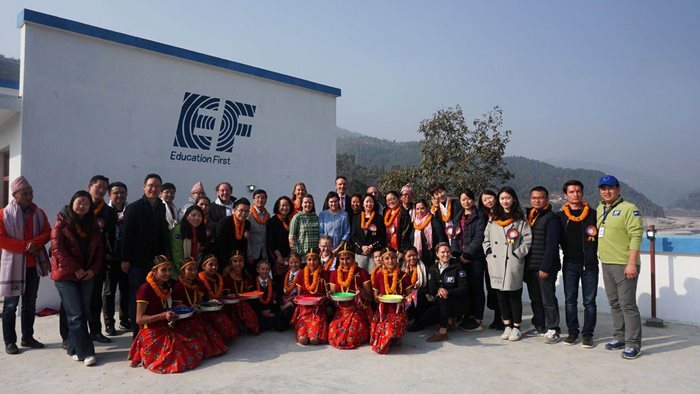 On December 1st the EF Nepal team welcomed all EF staff members, in the Shanghai Headquarters, to join in celebration of the completion of Shree Jalapa Devi Higher Secondary School. The team, joined by Alex Hult, announced the completion of the school. They took all staff members through a short, visual experience of the team’s journey in Nepal, from creating new friendships to foraging for food in local villages. After all the hard work, endless dirt road journeys and sleepless nights, the school is in the final stages of completion and is set to open its doors in early 2018. 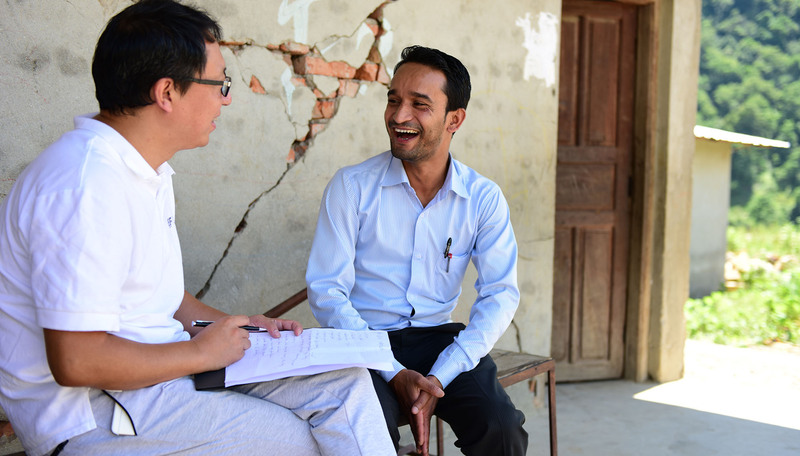 Thanks to the research, technology and all the local helping hands, Shree Jalapa Devi is now one of the safest school structures in Nepal – eager to open its doors to the local community. 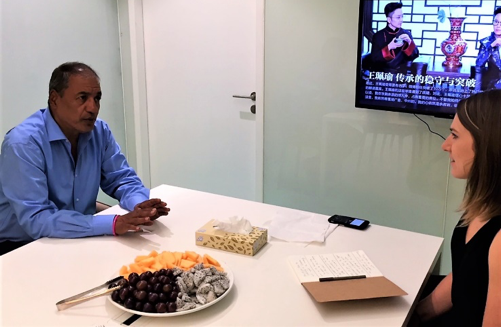 We recently welcomed Rakesh Hamal to the Education First Headquarters in Shanghai. He took a tour of the Headquarters and sat down with us to provide some insight into the project, and his role and involvement in the initiative. Mr Hamal is one the partners involved in the EF Global Classroom Foundation in Nepal and the Chairman of Safa Sunaulo Nepal (SSN). 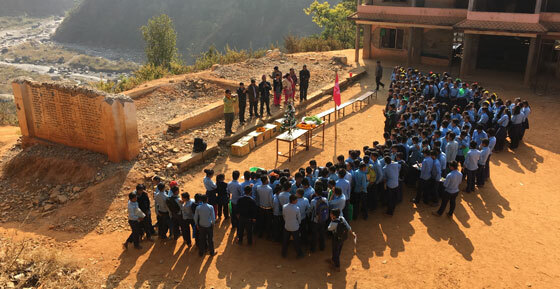 SSN is a Non-Government Organization that operates in Nepal, and has partnered with EF in the rebuilding of Shree Jalapa Devi Higher Secondary School. 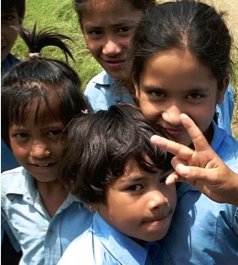 What is your involvement in the EF Global Classroom Initiative in Nepal? What have been the main challenges involved in infrastructure policy following the 2015 disaster? The biggest challenge Nepal faces is the lack of technical knowledge on how to handle post disaster situations. The last earthquake that saw Nepal devastated was in 1934, which resulted in over 10,000 casualties. In 2015, we had to come up with an approach for restructuring the country’s damaged infrastructure. This was the cause of controversy, for multiple reasons. The main points of contention were related to funding, building codes, land regulation policies, designs and technical knowledge. How has this project managed to be a success despite these limitations? For this project specifically, we turned to Japan for the majority of our technical assistance and this created problems of its own. Other international organizations intervened as they believed they had the know-how, even some local organizations got involved. Working in underdeveloped countries is always difficult. Of course, bureaucracy is a major challenge, it is slow and the malpractice of certain laws is prevalent. I believe EF has done a tremendous job thus far. Taking on a project of this magnitude, right after the disaster, was a difficult and complicated thing to do. EF took quite a lot of initiative and made a great effort to find the school. 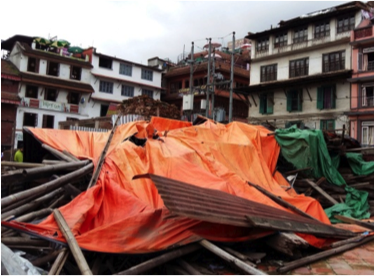 Nepal had about 14 severely affected districts and EF chose to rebuild in one of the most affected districts of the country, one where the highest casualties occurred. The donors decide where they would like to build and I appreciate that EF chose to rebuild in one of the most affected areas. Is this project leading the way with regard to the implementation of new infrastructure and technology? It took numerous meetings to formulate a solid plan and work with the laws and regulations of the country. Through a lot of brainstorming and hard work we were able to apply to the government. The application part was difficult - there were many layers of approval. Once, EF found a school to rebuild we had to start the government process and the first step of that process was to go through the Central Level Project Implementing Unit. This part of the project was definitely the most time consuming. After that we had to go through the department of Urban Development and Housing. This department approves the designs and plans, which took several months, due to the high volume of buildings awaiting approval. Almost 8,000 schools were damaged, as well as half a million private homes and various other buildings. The lack of expertise and shortage of human resources made it very difficult. 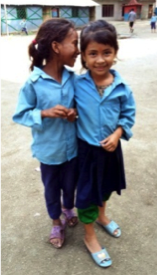 Size wise, Jalapa Devi is a pretty big school – it’s one of the bigger schools that is being rebuilt. EF has also shown great initiative with use and implementation of Japanese earthquake technology. It was one of the only schools to implement this kind of technology at the time. While the students and community await the rebuilding of the school, what are their solutions to schooling? Out of the 8,000 destroyed schools, we have only been able to collect the funds to repair and rebuild 4,000 schools. While the construction is underway, students attend Temporary Learning Centres. Everyone in the area is eager to see the school reopen and excited to have a safe and comfortable environment to learn in. Shree Jalapa Devi Higher Secondary School is expected to open its doors once again in the new year, and hopefully it will continue to be a model for continuous collaboration and development across Nepal. Vienna Chen receiving a gift from Mr. Hamal on his visit to Shanghai. Mr. Hamal sharing some insight into the project while on his tour of the EF HQ in Shanghai. 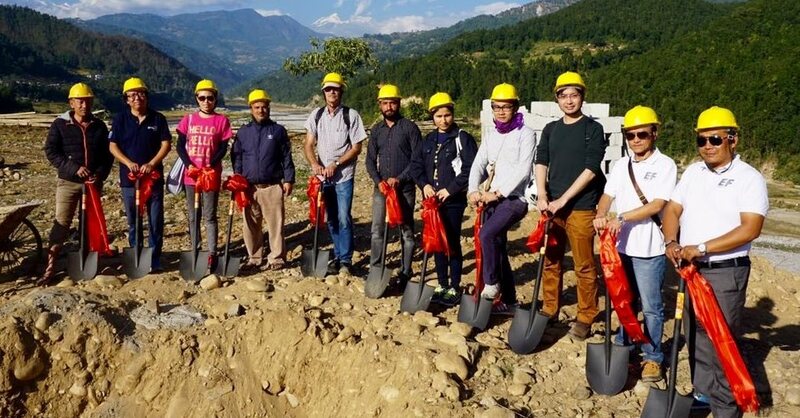 Since the groundbreaking in September of 2016, a team of Japanese consultants have been assessing the site, processing plans and training local Nepalese workers in the building of technologically advanced structures at Shree Jalapa Devi. The technology being employed is called SRF - Super Reinforcement with Flexibility. 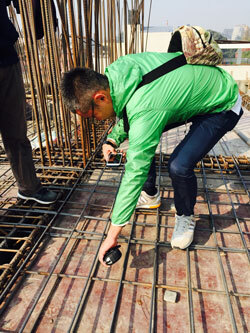 It has taken a few months to put these plans into practice – as this technology is at the forefront of earthquake resistant structural rebuilding. Nepal will be only the third country to employ SRF technology, the other two countries include Japan and Korea. 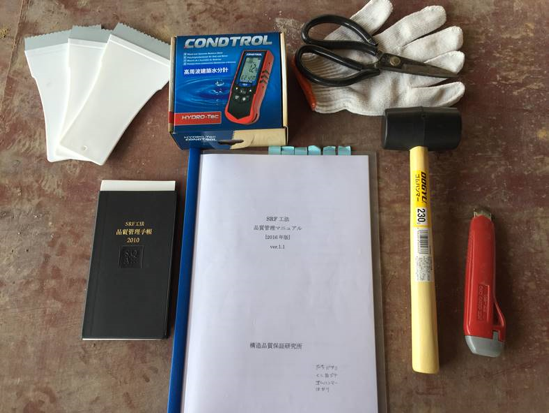 Over the past three months, the group of Japanese consultants working on the project, have undergone training in Japan and are now certified to use and implement SRF technology in the rebuilding of the school. This certification has allowed them to train the local laborers. In mid-March 2017, Yoshizawa trained the local team in Nepal on how to successfully implement the technology. 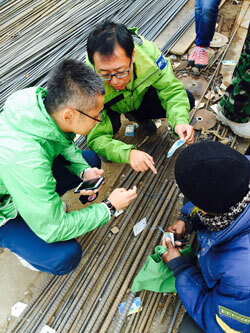 The training and on-site practice lasted a week. Due to the importance and precision of the technology, mastering this skill is not easy and straight forward. 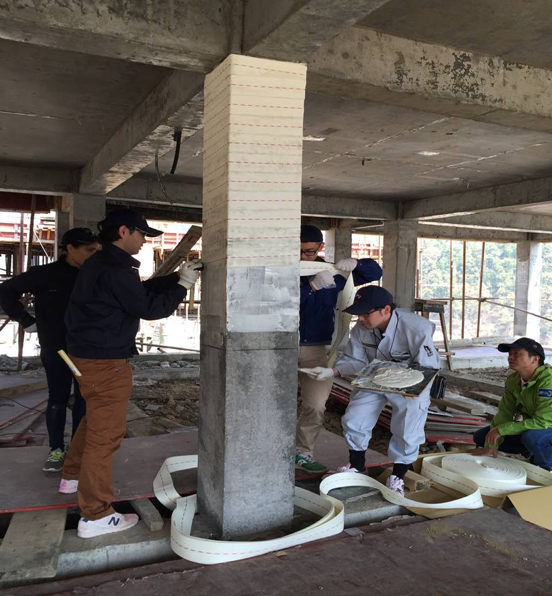 As a result, they were able to reinforce 24 concrete columns with SRF earthquake resistant technology. Key members of the school management committee as well as all the teachers had the opportunity to visit the site and learn more about the new structure of their school. 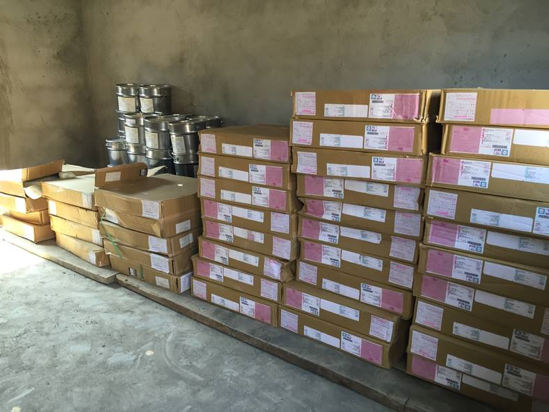 EF hopes that the successful implementation of SRF technology in Nepal will be used in the future, hopefully by more NGOs in the rebuilding of structures that have a great deal of impact on local communities. With construction of the new school well underway, we took the time to sit down with one of the teachers at Jalapadevi. 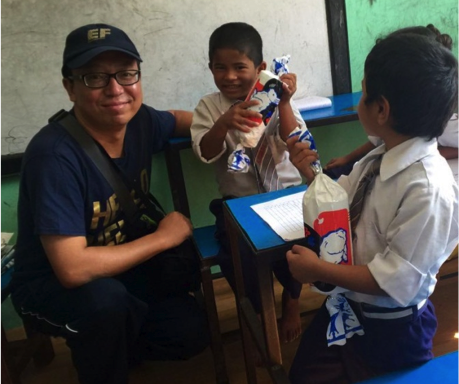 Prakash Sapkoda, an English teacher, sat down to tell us a little more about his experiences as a teacher in Nepal. How long have you been teaching at Jalapadevi? English, I’m an English teacher here. What is your weekly schedule like? How many classes do you teach a day? I teach five classes a day and work from Mondays to Fridays. I rent a room which isn’t too far from the school, it’s about a ten-minute walk away. Have you always lived in this area? Tell me a little more about your family. My home village is around five hours away by bus – this is where my parents and younger brother live. Compared to other Nepali families, which usually have around ten members, mine is quite small. I go back every weekend. I leave on Fridays after school and return on Sunday mornings. The school week runs from Sunday to Friday in Nepal, so I have Saturdays off and that’s when I go home to visit my family. I majored in English Education. Why did you choose to be an English teacher? Well English is an international language which is very widely spoken and understood. In order to learn more about the world one needs to be able to speak English. Because I studied English, I’m able to sit here and have a conversation with you, something not all teachers in Nepal can do. It’s such an important language and it’s important to be able to speak it well. How do your students feel about learning English? Do they like it? They do like English and they study really hard too. The difficulty comes with obtaining good results – as most students may be good at listening and speaking, but have difficulty with reading and writing. This is because of limited resources such as English books and materials both at school and at home. Do you ever interact with your students’ outside of school? Yes, I regularly visit my students, this way I can communicate with their parents on the importance of education both at school and at home. It is disappointing sometimes as some parents don’t see the importance of education – they want and need their children to start working early in order to earn for their households. What is your ultimate dream or goal? My dream is to be a successful and famous English teacher. What are your insights on the rebuilding of Jalapadevi? I know quite a bit about the project and I really care about it. I’m happy that with the rebuilding of the school will come two new buildings, including a library, canteen, labs and a dormitory once complete. I’m also really happy to know that we’ll have enough classrooms for all the teachers and students. Do you think short-term volunteer teachers are beneficial to the school? Yes, I think these teachers are a very positive addition. Firstly, I think they are excellent for our students, it gives them the opportunity to learn more about the rest of the world. Secondly,it’s a great learning opportunity for our teachers and helps them improve their outlook on teaching. Do you think the school needs more volunteer teachers? Yes, we definitely need more teachers to help – especially good arts and science teachers. I only want to thank EF for this opportunity and I’m very excited for the new campus to be complete. 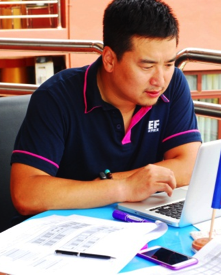 EF staff member, Hope Ma, talking with English teacher Prakash Sapkoda. For the EF Nepal team, getting ready to welcome a new calendar year meant finalizing many plans and procedures. The most exciting outcome of December was the sanctioning of the technology that will be used to ensure the structural safety of Shree Jalapa Devi Higher Secondary School. The EF team has been working very closely with Japanese consultants from Yoshizawa Architectural & Structural Design to ensure the safe reconstruction of the school campus. As a result of Japan’s geographic location - and the fact that the country is prone to both direct and indirect effects of natural disasters - Japan has developed unique construction technologies to withstand the devastating effects of these disasters. 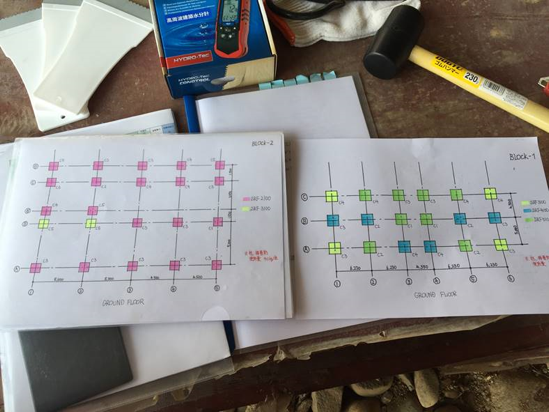 Yoshizawa will implement one these technologies for the first time ever in Nepal: Super Reinforcement with Flexibility (SRF). “SRF” also happens to describe the principles that embody EF Nepal’s primary goals for the rebuild of Jalapa Devi HSS: Safety, Reliability, Feasibility. The ideal outcome of this project is the creation of a safe and reliable learning environment that is not only able to withstand harsh environmental hazards, but can also be feasibly replicated as the new school building standard. All students deserve a place where they can continually develop and learn, opening doors to their futures without disruption. With a new year comes new challenges and accomplishments. 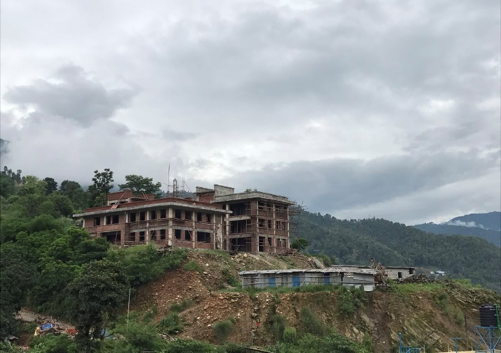 For the EF Nepal project, 2017 will be significant as the completion of Shree Jalapa Devi HSS is visible on the horizon. Stay tuned to see what other exciting updates might be in store in the New Year! 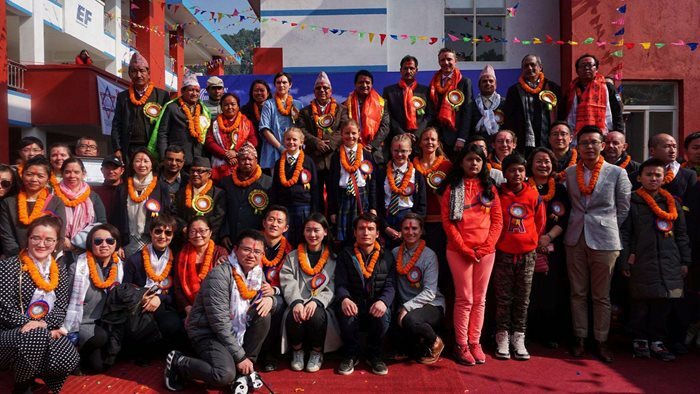 SRF technology has been used across Japan on over 1400 projects and will be used in Nepal for the first time to reinforce the structure of Shree Jalapa Devi HSS. 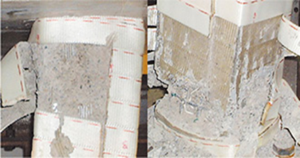 The inside of an SRF wrapped column after seven seismic waves. The inside of a steel and resin reinforced column after four seismic waves. A view of the school as it is in it's first stages of construction. ‘Tis the season of festivals in Nepal: October began with the festival of Dashain, while November was brought in by the festival of Tihar. Also known as Deepawali or the festival of lights, Tihar is a 5-day Hindu festival marked by homes that are gorgeously illuminated – both inside and out - with oil lamps. Once the celebrations were done, workers were back on site at Shree Jalapa Devi HSS to complete a crucial milestone in school construction: pouring the foundation for the new buildings. To ensure that this critical step was executed according to their strict building plan for increased earthquake resiliency, the Yoshizawa consultancy sent three Japanese engineers to the school for direct supervision and construction technology meetings. 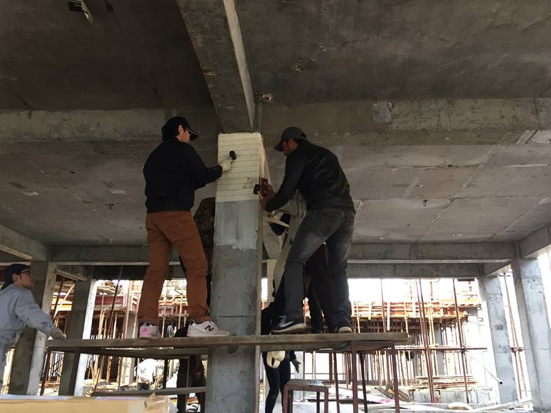 In addition, the EF Nepal team created a WeChat group for daily progress updates to the remote Japanese team plus a daily construction check list for the on-site supervisor. Finally, the Japanese engineers also completed their assessment of the only school building to survive the 2015 earthquake. This building, which is still actively used as classroom and administrative space due to lack of options, may actually be structurally sound; if the engineering report confirms this, then the building can be retrofitted for additional earthquake resiliency. So be sure to check back for more construction updates, and to find out if our campus will grow to three buildings! Construction, staff and volunteers get ready to pour foundation. Japanese engineers survey the grounds and the one remaining building. School construction took a 15-day break at the beginning of October in observance of Nepal’s most auspicious Hindu festival, Dashain. Held every year between September and October, Dashain commemorates the epic victory of godly good over demonic evil. Nepalis celebrate the annual festival with flying kites, bamboo swings, new clothes, countless pujas (religious rituals), and thousands of animal sacrifices to appease the Mother Goddess Durga, who played a pivotal role in the celestial battle. 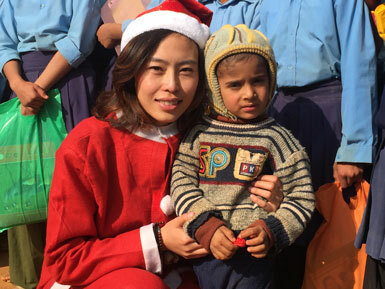 During the break, the EF Nepal team interviewed a special member of the school project: Stella Zhuang, a former English Center manager for EF China who moved to Nepal to become a volunteer teacher. Tell us a bit about yourself. Where did you grow up? What interests / pastimes do you pursue outside the classroom? And who is your favorite English author? I grew up in south China and graduated from Sun Ye San University. I have a bachelor’s degree in English Literature and a master’s degree in business management. I like traveling, taking photos and reading, and my favorite English author is Charlotte Bronte. How long have you been teaching at Jalapa Devi Higher Secondary School? I started teaching at Jalapa Devi school in April 2016. [Prior to that] I worked for EF China for almost 10 years. We understand your daughter is also in Nepal as well? Yes, my daughter is almost 14 years old. She teaches Grade 2 and 3. In her leisure time, she does her own studies. 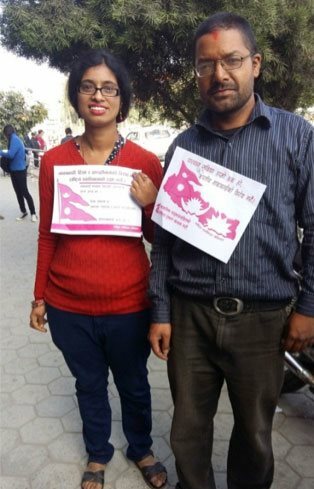 What prompted you to become a volunteer English teacher in Nepal? When I was an EF employee, I admired our EF teachers who could use English as a tool to enrich not only the students' language knowledge but also their spiritual life. Why I came to Nepal as a volunteer English teacher is very simple: EF has a project to rebuild a school and the school needs more qualified English teachers. When I heard this, I told myself I should go. I believe the decision was made from my heart since I always wanted to be a teacher when I was a girl! Once you have the chance to realize your dream, the only thing you can do is "Just do it." Did you consider teaching any other subjects or was English always your first choice? Teaching English is not the only option. I hope that I can contribute more to my students. In Nepal, besides teaching English, I also teach my students drawing and once a month, I will be a physical education teacher. To be honest, I am really not good at teaching sports! Please describe conditions at Jalapa Devi HSS. Fortunately, the main school building did not collapse during the earthquake last year, but it caused a lot of damage to the campus. There is a lack of power supply and therefore the students are taking classes in pitch darkness. However, the students are studying hard despite the poor school environment and life condition. I teach students in grades 4 and 5. Most of them live in the village where we stay, or in the surrounding mountains. They all walk to school every day; some of them need to climb the mountain and walk more than one hour to get to school. Their parents are farmers, shop keepers, or jobless. But no matter how poor their living condition, the students always smile and are friendly. They respect teachers and are very polite…though sometimes they are naughty! What do you find is the most effective way to teach your students? Body language plus reading out loud has proven to be the most effective way for me to teach Nepalese students, as I cannot understand Nepalese and their English is still not proficient enough to understand complicated words. What are the biggest challenges you face teaching English in Nepal? The contents of the textbook do not always correspond with the students' English level. And students of the same age are put into one class, but their English skills are very very different. The English level of students in Nepalese public schools is quite low relative to their grade due to lack of teaching resources, especially oral English. But most of them are eager to learn and are curious about new things. 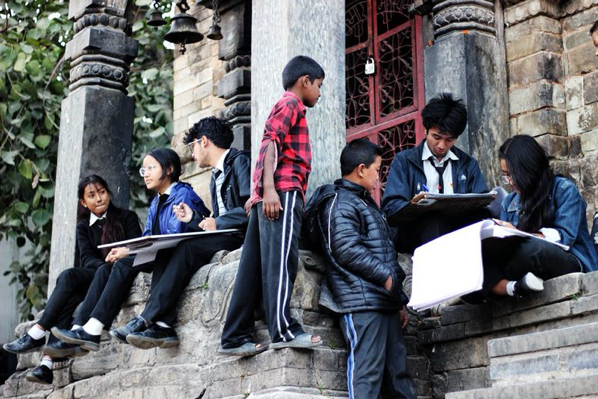 What do you think are the biggest challenges facing Nepalese students today? 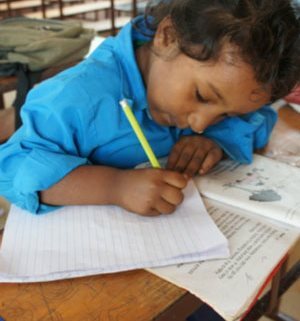 The biggest challenge facing Nepalese students - especially the large number of kids in the rural area – is the need for more qualified teachers to enlighten them. Of course, financial support is required to bring more teachers. The kids in Nepal are very lovely. I hope we can do more for them. What do you deem to be your biggest teaching success? Keeping the students always curious about the world and giving them the confidence to explore it. Volunteer teacher, Stella Zhuang, with her students. 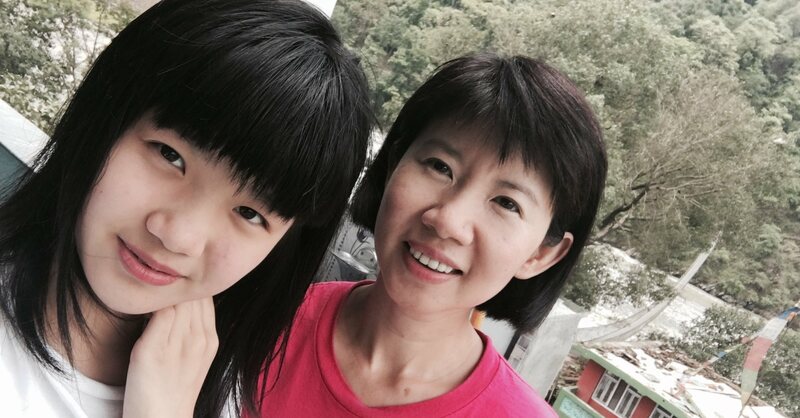 Volunteer teacher, Stella Zhuang, with her daughter who is also a volunteer teacher. After more than a year of research, planning, and collaboration, the rebuild project of Jalapa Devi Higher Secondary School officially broke ground on a warm Wednesday morning, September 28, 2016. Preparation for this event was at least a couple of months in the making. Originally scheduled for July, the groundbreaking ceremony was delayed twice due to poor conditions on the roads leading to the school. July and August in this region of Nepal are the wettest months in the entire year; torrential rains cause landslides and floods, and regularly wash away roads. While safety was a concern for all attendees, it was the foremost concern for the staff of the ceremony’s guest of honor: the Respected Honorable Vice President of Nepal, Nanda Bahadur Pun. Only when the VP’s cabinet was satisfied with the stability of the road access did they give a green light to the ceremony. The Respected Honorable Vice President of Nepal, Nanda Bahadur Pun is welcomed to the ceremony. The final hours leading up to the event were typically frantic: giant tents, banners, staging and lighting were set up on the main school grounds, and food for over 600 people was prepared in one of the temporary classrooms on a nearby hill. School administrators and volunteer students reviewed their event responsibilities, while Nepalese Army personnel checked, double-checked, and rearranged anything they felt could possibly compromise the area’s security. It was all hands on deck until the very early morning hours. At 7a.m., a security motorcade transporting the Vice President (as well as EF China General Manager and Chief Representative Melissa Lam and representatives from EF’s partners) raced down cleared roads and were greeted several hours later with a warm reception – and plenty of the marigold garlands that are omnipresent in Nepalese rituals - by Jalapa Devi’s principal, teachers and students. The ceremony began with a traditional dance performance by several students, followed by passionate speeches from the Ministry of Education, former school principals, Ms. Lam, and finally Vice President Pun. Both the school administration and EF presented ceremonial plaques – locally referred to as “Tokens of Love” - to honor the project’s partners and the Vice President. Then it was time for the actual groundbreaking next to a carved foundation stone that will eventually be imbedded in one of the new buildings. The ceremony officially ended by providing lunch to the school’s most important attendees: the students themselves! Several student dancers pose for a photo in traditional dress. 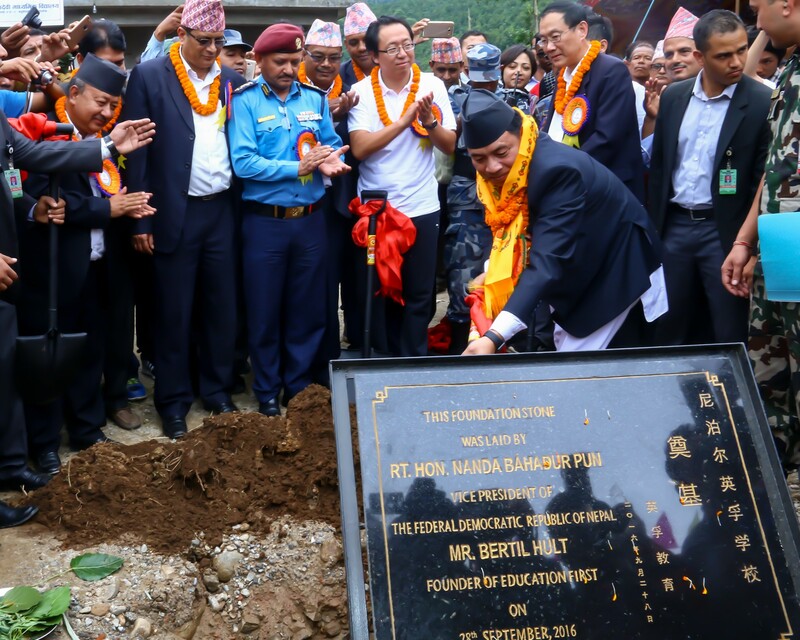 Vice President Nanda Bahadur Pun breaks ground for the building of Jalapadevi HSS. September 28th marked the culmination of months’ of hard work by not just EF Nepal team, but also by their team of partners: Japanese consultancy Yoshizawa Architectural & Structural Design, who contributed their extensive experience in earthquake-resistant construction technology and will engineer the first-ever use of earthquake-resistant geotextiles in Nepal; Nepalese firm Prativa Architects & Associates, who developed the plans and ensured the design reflected local tradition; and charitable organizations Safa Sunaulo Nepal and Shanghai Charity Foundation, who provided administrative support through their respective networks. With their help, the groundbreaking is the very beginning of a construction project that will raise two new buildings on the original site and transform Jalapa Devi HSS into the largest school in the district. When completed, the eagerly-awaited campus will have enough space for 1,200 students and teachers: one main building of 12 standard classrooms, and one functional teaching building that will include classrooms, dining rooms, reading rooms, science laboratories and offices. Congratulations to all, and to an auspicious start for the new campus! 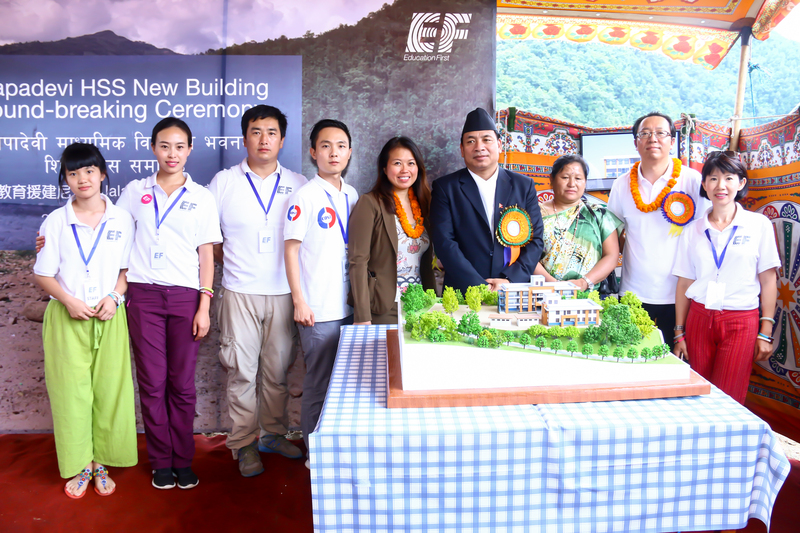 A few members of the EF Nepal team pose with Vice President Nanda Bahadur Pun behind a model of Jalapadevi HSS. 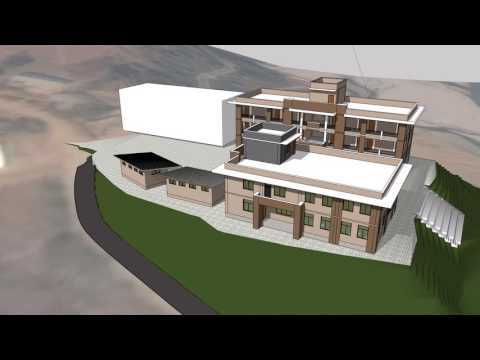 A couple of months ago, we posted a short SketchUp video of the planned campus. After all the administrative hurdles this project has tackled, it was very rewarding to finally SEE - and share - what the school would eventually look like. So, imagine our excitement upon receiving an even more detailed 3D simulation that takes you INSIDE the new school! This updated virtual tour of the new Shree Jalapa Devi can be found below. The second bit of news was a complete surprise from left field. 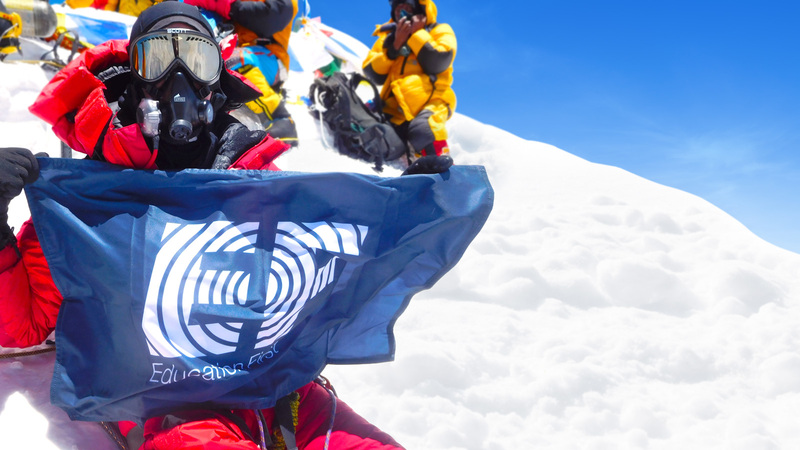 To be exact, it actually came from the highest point in the world: in collaboration with Madison Mountaineering and the virtual reality storytelling company Panogs, the EF flag was brought up to the summit of Mount Everest on May 19, 2016, and photographed with Madison guide Conan Bliss. Madison Mountaineering guided the climbing expedition as well as facilitated in the creation of a Panogs-produced VR series focused on summiting Everest. According to Panogs partner and longtime Hult family friend Ted Youngs, the Everest series is the first of several VR films documenting the highest points on the Earth’s seven continents. The successful Everest summit was especially poignant for Madison Mountaineering as its first Everest summit since last year, when a devastating avalanche caused by the April 25th earthquake took several lives, including that of Madison’s base camp doctor Marisa Eve Girawong. We send heartfelt thanks to the Madison expedition team, Ted and Panogs for taking EF's flag along on their amazing journey! Madison Mountaineering guide Conan Bliss hold's the EF flag on Mt. Everest. I have been a teacher at Jalapa Devi for around 8 months. What do you teach at Jalapa Devi? I am teaching Social Studies and Economics. How many hours do you teach per day? Usually I have three classes in the morning and two classes in the afternoon. I was studying teaching in college. I like teaching. I am married and I have two children. My daughter is 4 years old and my son is only 18 months. They are living with my husband in Kathmandu. Do you go back home often to see them? Not often. I go back home around twice a month. I miss them so much. Is it possible to bring your family with you to Jalapa Devi? There is no dormitory in school, and I have to share a room with my colleagues nearby school. I cannot afford to rent a big house for my family. Tell us about your students. What are their dreams? They all have dreams but different from each other. Some would like to be an engineer; some even want to be a teacher. I have a lot of challenges… there are so many students in a class. Some have 55 students, even 60 students. I guess it is too much, and I cannot focus on all of them. And there is no library and no labs in our school. This is really a pity for me as a teacher… the students need a lot of reading. What are the challenges for your students? I guess they don’t pay enough attention at study since they feel they can have a job even without degree requirements. And their parents are also not cooperative enough; they don’t care for their children’s studies either. Have there been any volunteer teachers in your school? No, so far only Stella Zhuang and Mimi came from China. They are friendly, nice and warm-hearted. They are so nice to our students and they are very patient. They take teaching very seriously. Do you know anything about the school rebuild project? Yes, I know a little. EF will sponsor us to building two new buildings. I am very excited. Many thanks for taking the time to talk to us. Is there anything else you would like to say to our readers? No more. Welcome to any EF staff to our school, and to our village! The monsoons have arrived! From now until August, steady rains will drench Kathmandu and adjacent regions, including our school's district of Sindhupalchok. Monsoon season also happens to coincide with the annual school break, an overlap intended to free children from school duties so they can help their families with the seasonal harvest. 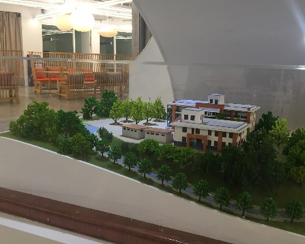 As Shree Jalapa Devi Higher Secondary School prepares to take its annual summer break, the EF Nepal school project receives great news: our new campus layout - designed to withstand another magnitude 7 earthquake - has finally been approved by Nepal's Department of Education. We also received 3D renderings of the beautiful new school campus; check out the video below. To say that we are eager to get construction started, and get the students into their new classrooms is a true understatement! Next up: planning for the groundbreaking!! To celebrate World Olympic Day 2016, the EF Nepal team enlisted the help of Shree Jalapadevi’s students and staff (and a few cooperative strangers) to film a Hoopla video with some Nepalese flavor… and they won first prize for their awesome effort! Check out the video below. April 25th marked the one-year anniversary of the massive earthquake that devastated central Nepal. Prior to the earthquake, Nepal ranked 145th out of 187 countries on the United Nation’s Human Development Index, earning it the unenviable status of “least developed country.” Burdened with this level of socioeconomic vulnerability before the country’s worst natural disaster in 80 years, Nepal is understandably making very slow gains in a very long recovery process. 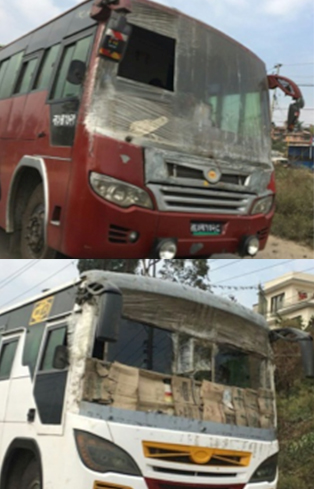 The EF Nepal project has not been immune to the ongoing scarcity of fuel, supplies and reliable information that has resulted in nationwide reconstruction delays. Despite this, the team continues to push slowly forward on the Shree Jalapadevi rebuild project. Bridging the knowledge gap between the Nepali National Building Code and the Japanese National Building Code has been very challenging, requiring almost daily clarification meetings conducted in no less than four languages (English, Mandarin, Nepali and Japanese)! Yet more administrative hurdles are still ahead, not the least of which will be wrangling approval from the wary Ministry of Education for more earthquake-resilient–but completely unfamiliar–school designs. 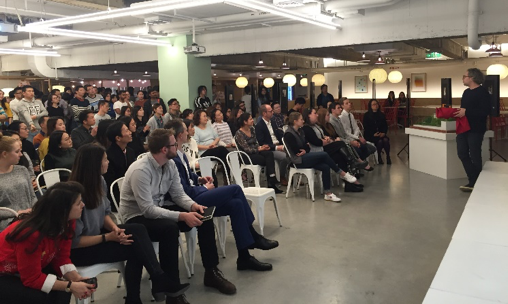 Finally, the team recently presented “Step Into Nepal” at EF Asia headquarters in Shanghai, China. The presentation offered a glimpse of Nepali life as experienced through the eyes of our interpreter Sanoj Shakya and our driver/guide Kiran. It was a wonderful opportunity to share our passion about the project with fellow EF staff as well as provide an update on the project’s progress. My name is Bishnu Prasad Gauuttamand and I am 45 years old. Are you originally from Sindhupalchok district? No, I grew up in the Gulmi district of western Nepal. How long have you worked at Shree Jalapadevi? I have worked at this school for over 23 years! Tell us a little bit about the school and the students. Shree Jalapadevi has been around for 50 years, maybe even longer. It is the main school for the five nearby villages and also a key school for Melamchi Municipality. The students are from Badegaun VDC, and Melamchi Municipality, especially from wards 8 to 12. How many teachers and students attend here? We have 23 teachers and 665 enrolled students this year. I guess there will be around 800 students once we have a new campus; they all want a new classroom! What do you remember about the day of the earthquake [Saturday, April 25, 2015]? School was in session at that time. I was in the school and became an eyewitness to the destruction of our school building and the houses near the school. It was terrible: the school buildings were shaking and one building collapsed. Students and teachers were running everywhere; some students and teachers were injured. Thank God no one died. It was nightmare for me for a long time and we all avoid thinking about it. What were your primary concerns for the school and the students immediately after the earthquake, and what concerns you most now? We were concerned about the reconstruction of the school buildings and about the psychological condition of our students. We are a public school and we have no money to rebuild our classrooms; we can do nothing but wait for help from government. And as you may know, our government is quite poor and there were so many buildings collapsed, I didn’t think our school was on their list. I nearly lost all hope at that moment. Now, we don’t have enough classrooms, we don’t have a library, science lab or computer lab, and we are lacking sport materials and proper playground. We need earthquake resistant school buildings that will help us run our daily classes in a peaceful environment. Students and teachers suffer greatly while having classes in a temporary steel classroom: it is very hot in summer and super cold in winter. Sometimes we even have to stop class because of bad weather. What was your initial reaction when EF first approached the school administration about this rebuild project? Many thanks to EF, this is really what we need: safe school buildings for the students and teachers. I cannot imagine what school would be like if no one helped us. We are a village school far from Kathmandu and even further from downtown. No one cares about us; there are no travelers or visitors. I am actually quite surprised you found our school! 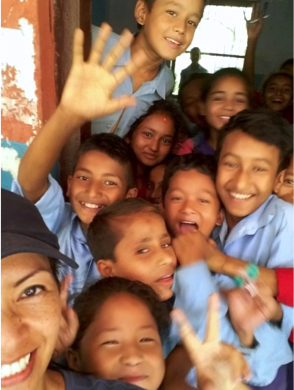 We [the EF Nepal team] are incredibly grateful – and excited! - to be part of this project. Any feedback for us so far? I am very happy that you have already moved to our village and live with us. Now we have more time with each other and I am sure we can become good friends too. Thanks for taking the time to talk to us. Any final words for the EFers around the world who are reading this? I have a lot of words to say but the most important thing I want to say is thank you. Welcome to our school and welcome to Nepal! After weeks of site searching, damage assessments and administrative meetings, EF Team Nepal finally narrowed the field to one location: Shree Liti Mahakal Secondary School. Liti Mahakal is located deep in the hills of Dhading district, 5 to 6 hours from Kathmandu, with the last couple of hours spent on a single-width, heavily rutted dirt road. 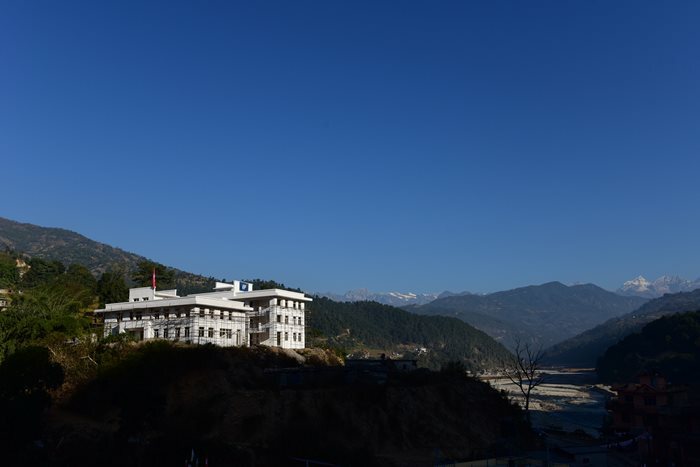 Both of Liti Mahakal's classroom buildings were severely damaged by the earthquake - apparently due to a new experimental “cost-saving” design - and require complete rebuild. The school serves an economically depressed and isolated community with few financial resources and no donors offering to rebuild the school’s permanent structures. Unfortunately, this relationship was not meant to be. Late in the negotiations, Liti Mahakal’s administrators suddenly revealed that a local, well-established NGO was in fact interested in rebuilding the school; it was the same organization that had come up with the original “cost-saving” design! 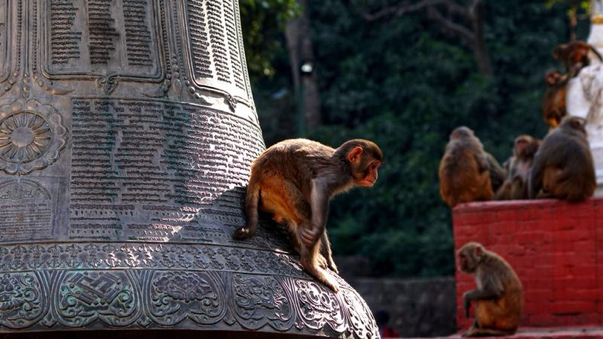 A partnership between EF and the NGO was discussed, but eventually fell apart based on a single issue: the NGO – who apparently planned to rebuild Liti Mahakal with or without EF - would not allow EF to alter their standard design. Given the choice between building a school that could not withstand another large earthquake, or building earthquake-resilient classrooms for another equally needy school, it was crystal clear: the team would have to select an alternate school. 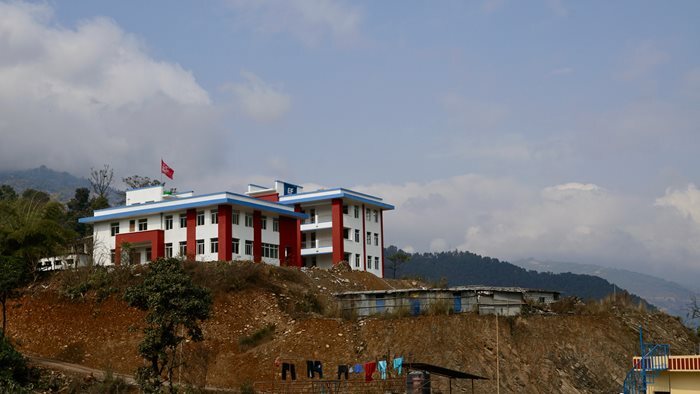 And that school is also located 5 hours from Kathmandu, but in the exact opposite direction: Shree Jalapa Devi Higher Secondary School in Sindhupalchok District. Jalapa Devi is very similar to Liti Mahakal in terms of student population, terrain, access, and community resources. One of its two classroom buildings has significant wall damage, but the frame remains intact, which means a refurbishment. The other building has already collapsed and would need to be rebuilt from the slab and up. However, unlike Liti Mahakal, Jalapa Devi is truly without external aid: without EF or another donor, the school would have continued using their temporary buildings indefinitely. So, after a surprising glitch that broadsided the original selection, EF Team Nepal has finally secured a school. Now comes the real challenge: getting it built…and built well! 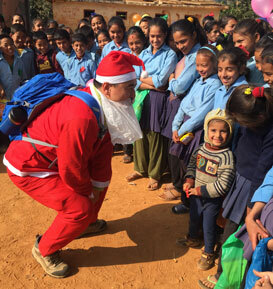 EF Nepal team member Jonah Mu delights the students of Liti Mahakal in his Santa outfit (with makeshift bag beard)! 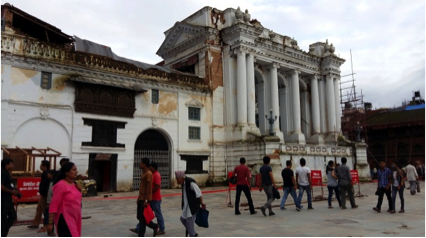 In the immediate aftermath of the devastating April 25th earthquake, the Nepal Engineers Association and hundreds of student volunteers from local engineering schools conducted damage assessments on literally thousands of buildings. As a result of these “rapid visual assessments,” each building was issued a colored placard in green (safe with little to no damage), yellow (significant damage) or red (unsafe for occupation). 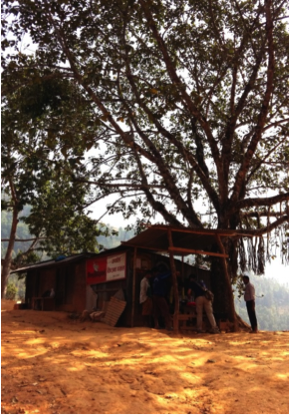 Sadly, during EF Team Nepal’s own assessment visits to 56 campuses in the heavily damaged districts of Nuwakot, Dhading and Sindhupalchok, the team witnessed several schools still using buildings with clearly displayed red placards. In addition, some structures with green placards were clearly beyond “a little” damaged. The unfortunate truth is that damaged schools have very few options. While local and international non-governmental organizations have been providing extensive relief assistance to the financially strapped Nepalese government, a lot of this aid is in the form of emergency supplies or temporary structures such as temporary learning centers (TLCs) rather than permanent buildings. And while there is no argument that TLCs are generally an improvement over learning beneath blazing sun, pouring rain or bitter cold, it is understandable that students and teachers want to return to a permanent school as soon as possible. 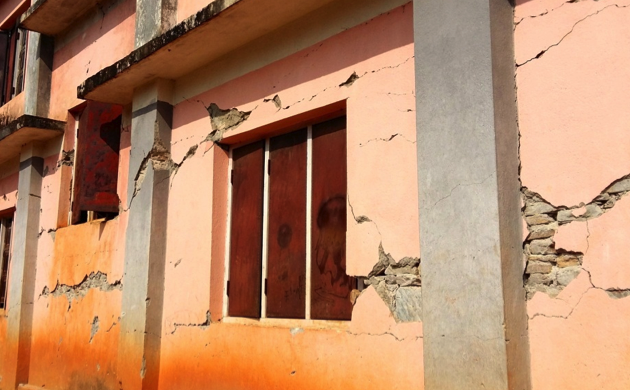 However, in the absence of choice, some desperate schools have opted to forgo a long and potentially fruitless wait for donation funds, and repaired damaged buildings themselves by using local craftsmen with no training in earthquake technology. Here is where EF hopes to make significant impact. Given the challenges of limited building technology and poor site conditions, EF committed to providing a safe school environment by hiring a Japanese consultancy with extensive experience in earthquake-resistant construction technology. 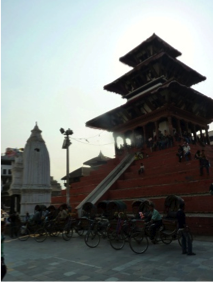 In December 2015, consultants from the Yoshizawa Structural Design firm arrived in Kathmandu and immediately began their on-site research and preliminary design development. 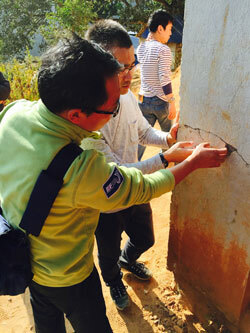 The Japanese team visited potential schools, material markets and quarries, and active construction sites in order to determine the quality of construction materials (generally acceptable), the depth of construction knowledge (shallow), and the resilience of currently available school designs (measured at earthquake resistance of magnitude 3-4). Yoshizawa will continue to develop the school design once a school is selected, and will eventually train local craftsmen in proper construction techniques and help monitor the build site. 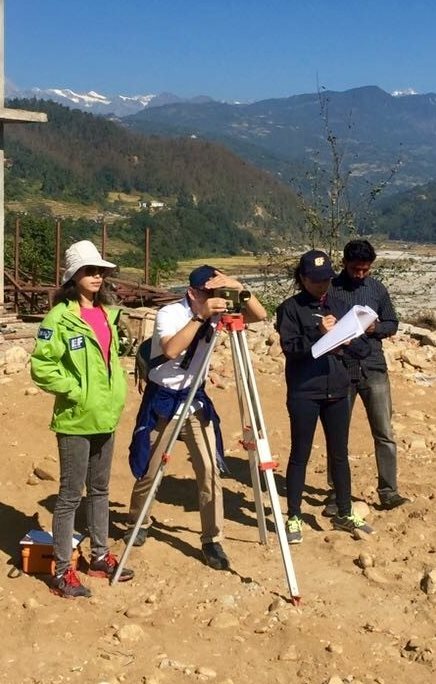 In addition, EF Team Nepal plans to align Yoshizawa with the Nepalese government to improve the national standard school design to an earthquake resistance of magnitude 7+. This new standard design, as well as all information EF Team Nepal collects for the project, will be openly shared with any NGO/charity organization involved in Nepal’s rebuild, as part of the global collaboration effort. Blessings for a safe and successful build project! After weeks of site searching and damage assessments on over 50 schools, EF Team Nepal has finally narrowed the field to one location: Shree Liti Mahakal Secondary School. 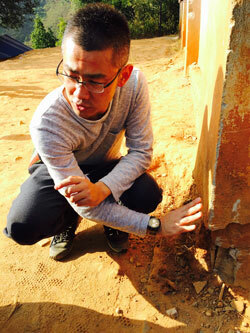 Site selection was a difficult process, as many schools were damaged by the April earthquake. However, Shree Liti Mahakal SS stood out as a school in dire need. 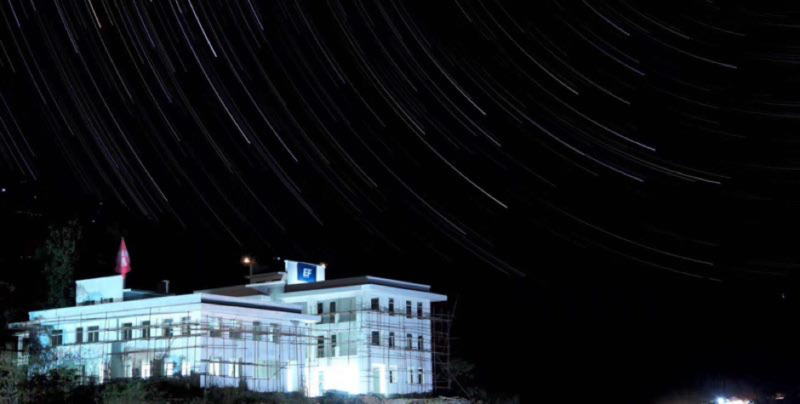 Shree Liti Mahakal SS is located deep in the hills of Dhading district, 5 to 6 hours from Kathmandu, with the last couple of hours spent on a single-width, heavily rutted dirt road. 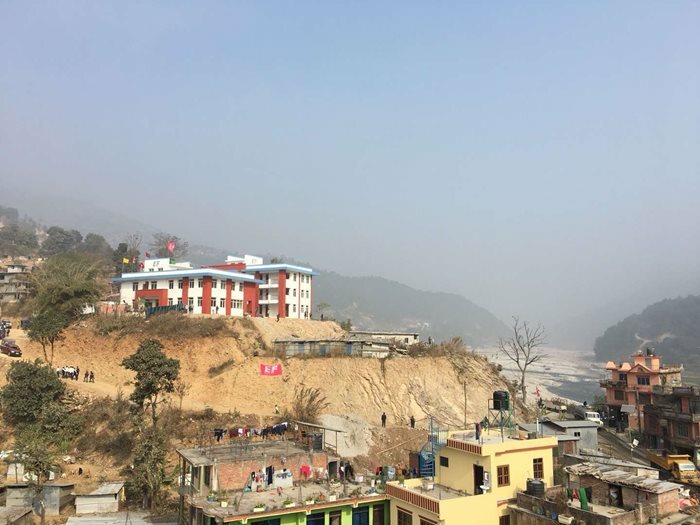 Both of Liti Mahakal's classroom buildings were severely damaged by the earthquake - apparently due to a new experimental “cost-saving” design - and will require complete rebuild. However, the school serves an economically depressed and isolated community with few financial resources. This means, unlike other sites within more robust villages, Shree Liti Mahakal SS is completely dependent on external aid for reconstruction (which could easily cost double here compared to more easily accessible schools). 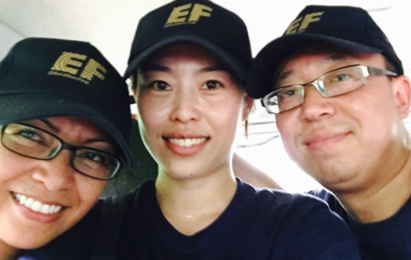 Prior to the team’s site visit, there were no other donors offering to rebuild the school’s permanent structures, so EF welcomed the opportunity to help a local community in need. 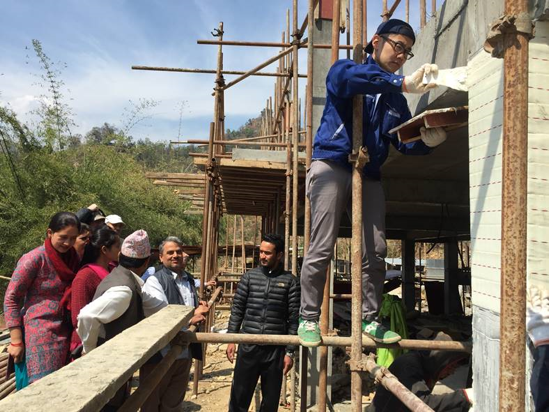 The next step for EF Team Nepal will be enlisting a Japanese consultancy to develop the school design and train local craftsmen in proper construction techniques. Besides directly benefitting from Japan’s extensive experience in earthquake-resistant construction technology, EF Team Nepal plans to align the Japanese consultants with the Nepalese government to improve the national standard school design to an earthquake resistance of magnitude 7+. 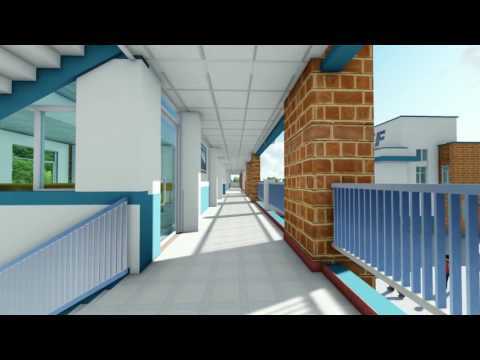 This new school design, as well as all information EF Team Nepal collects for the project, will be openly shared with any NGO/charity organization involved in Nepal’s rebuild, as part of the global collaboration effort. Damaged main building with 10 classrooms at Shree Liti Mahakal SS. 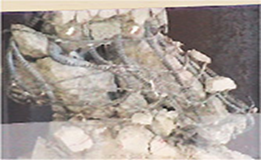 Remains of an earthquake-damaged classroom building at Shree Liti Mahakal SS. Canteen and small tea shop at Shree Liti Mahakal SS. 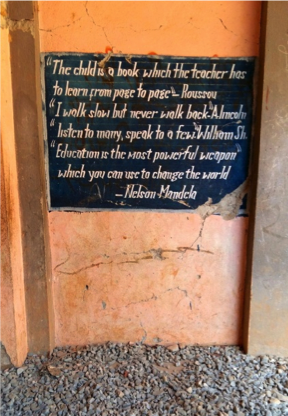 Inspirational education quotations on damaged hallway wall at Shree Liti Mahakal SS. Temporary Learning Centers at Shree Liti Mahakal SS. Inside a bamboo Temporary Learning Center at Shree Liti Mahakal SS. On November 30th, a stationery shop owner pinned a paper sign to his chest and joined a long row of locals standing outside. 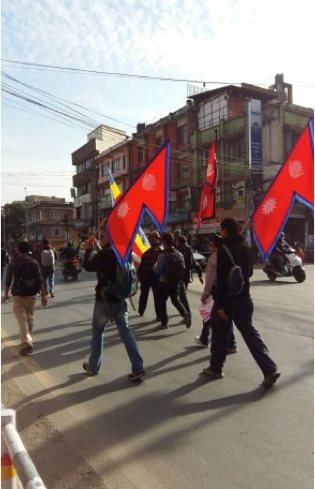 That day, hundreds of Nepalese protested the on-going fuel blockade along the shared Indian border by forming a 3 kilometer-long human chain from the capital of Kathmandu to Lalitpur, wearing signs that said "Transit is our right; let's protest the Indian blockade" and "Let's maintain national unity and social harmony." The blockade, caused by violent political unrest on the Nepalese side of border checkpoints, is entering its third month. Although China has signed an agreement to donate over a million liters of fuel to Nepal, the crisis is only deepening. In addition to cooking gas and petrol, there is now a critical shortage in medications, as all three commodities are normally sourced from India. If the blockade does not end or ease in the next couple of weeks, the swiftly coming winter is expected to take a deadly toll on those already vulnerable from the April earthquake: the poor, the young, the old and the infirm. Thank you for all of the donations and contributions we have already received from members of the EF community. 5. Sam Cheung from ET and Michelle Leung from Hult Asia will contribute sports uniforms for students at our selected school. 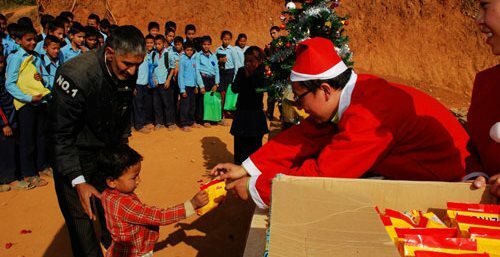 Hope distributes donated White Rabbit candy to students at Shree Liti Mahakal Secondary School, Dhading District. 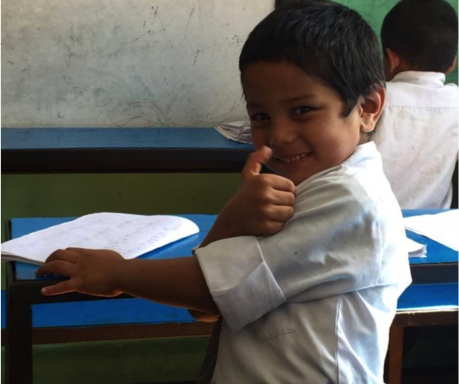 A young student from Shree Liti Mahakal Secondary School, Dhading District, gives EF a thumbs-up! 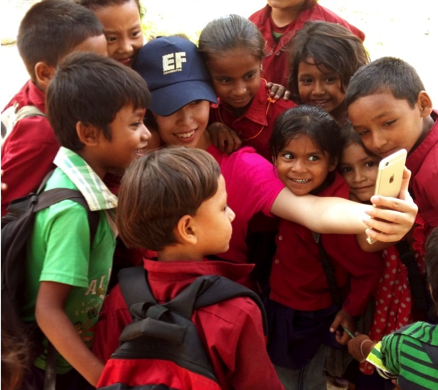 During their many school site visits, EF Team Nepal had ample opportunity to interact with and photograph students. Most children living in economically developed countries are pretty inured to the presence of a camera; they have lived with smart phones or Go Pros or other digital imaging format for most - or even all - their lives. But for rural children, a selfie may mean seeing themselves, crisp and undistorted, for the first time. Their raw excitement at watching themselves being captured in photo, or being photographed and seeing the result instantly, could convert even the die-hard selfie hater. Seriously, who can resist that kind of joy? Students from Shree Jan Kalyan Lower Secondary School, Dhading District. Giggling girls from Adarsha Higher Secondary School, Dhading District pose for the camera. Prior to May 2008, Nepal was governed by kings. 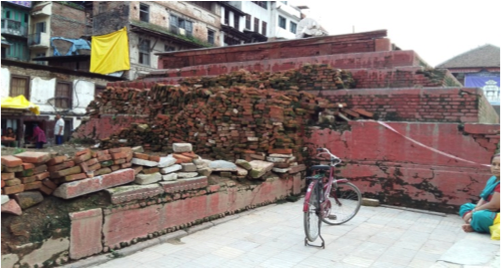 For centuries these ruling royalty and their families lived in the Hanuman Dhoka palace complex in central Kathmandu. 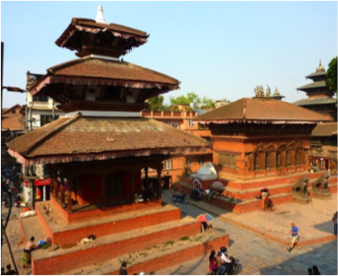 The former royal residence and surrounding temple-filled courtyards are collectively known as the Kathmandu Durbar Square and continue to be an important religious, cultural and social site for the Nepalese (in addition to being one of Nepal's four UNESCO World Heritage locations). 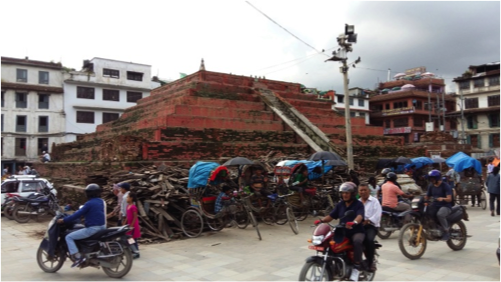 EF Team Nepal visited Kathmandu Durbar Square soon after the first school trips. It was both sobering and encouraging. 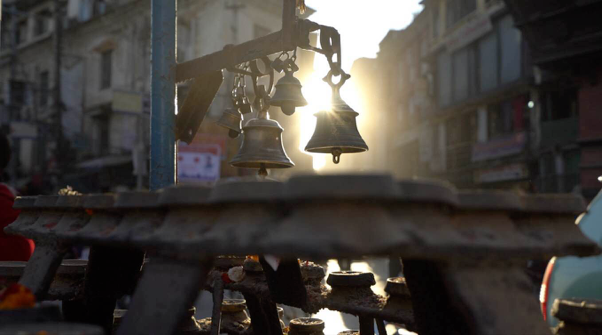 Despite obvious reminders of the April earthquake – prominent temples reduced to just their stepped bases; cracked walls supported by wood beams; taped-off safety zones – the daily rituals of Nepalese life bring back the sense of normalcy. 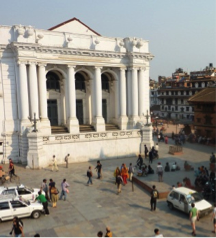 All three Durbar Squares (Kathmandu, Patan and Bhaktapur) will eventually be rebuilt as part of the nation's long-term "Build Back Better" reconstruction plan. However, it is understood that that will be a very long road to recovery, easily a decade in the making, and easily derailed by competing interests. 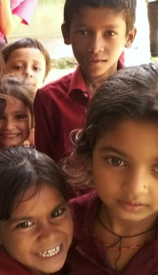 When we decided that a major initiative under the EF Global Classroom Foundation was to rebuild a school damaged by the devastating earthquake in Nepal, our first order of business was ensuring we had the right team and standards in place. 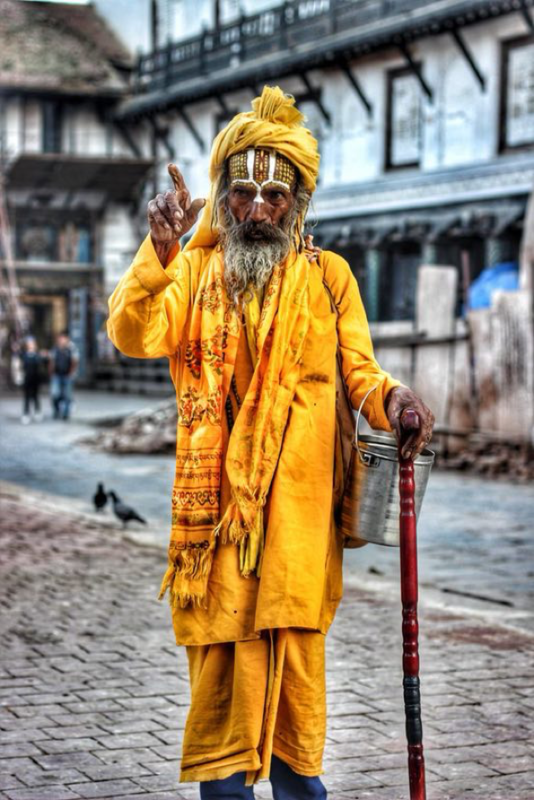 This would guarantee we’d be providing help for those truly in need and assist in the long-term recovery of Nepal. Edengrace Cayosa—Edengrace is a project manager in charge of building construction and also leads internal communication in English. Vienna Chen—Vienna is a project manager in charge of construction consulting affairs as well as internal communication in Chinese. Jonah Mu—Jonah is a project manager in charge of construction supervision, logistics, accommodations, on-site management, local relationships and maintenance. Together, this team of four will be on the ground in Nepal, helping oversee the rebuilding of the school. They will send progress updates throughout the process. Construction is set to begin at the start of the New Year. We will also share all of our school analysis and building designs with other organizations to further help with Nepal’s recovery. Learn more about the community where we’re building, the school itself, and to follow our progress by checking in every few weeks. Education is at the heart of what EF believes in. Opening the world through education is the center pillar of our philosophy and of everything we do. To help further that philosophy, the Hult family started the EF Global Classroom Foundation, with the goal to create better educational opportunities for those who need it most, as well as aid in disaster relief. In April 2015, Nepal was hit with a horrible earthquake that affected thousands of families. 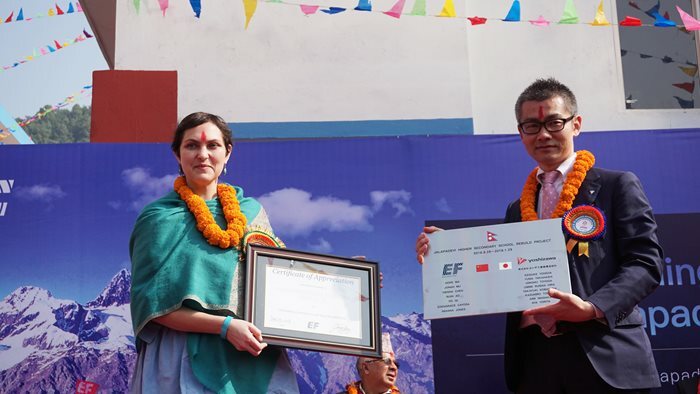 EF decided that a major initiative under the Global Classroom Foundation was to assist in the long-term recovery of Nepal, and we committed to building a new elementary school in one of the areas most affected by the earthquake. We’re excited to announce that the project officially started this month, and construction should be completed in one year, where, upon completion, the local administration will take over. As we continue work on building the new school, we look forward to sharing monthly updates on our progress. The school will be built to adhere to the earthquake-resistant construction standards. The terrible disaster in Nepal has affected many of us. Our hearts and thoughts go out to the thousands of victims of the earthquake and their families. All of us are looking for ways to help. We know that in addition to the immediate devastation of any natural disaster of this magnitude, what follows are very difficult years of rebuilding and recovering. Homes, schools, offices, sanitation and other infrastructure must be rebuilt. To that end, EF will contribute to the long-term recovery of Nepal by committing to help in the area we understand and know best—education. We will aid in the future education of some of the children of Nepal by building a new elementary school in one of the areas most affected by the earthquake. Construction will begin in just a few short months. In times like this, the global community comes together, and the EF community is no different. We are grateful that we can contribute at least a little bit to Nepal’s recovery.